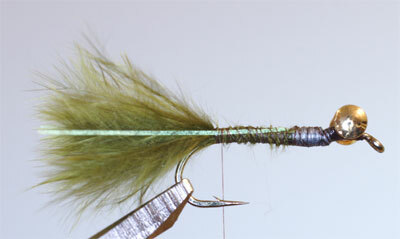 2) Tie in a bunch of marabou behind the lead and wrap back to above the barb. 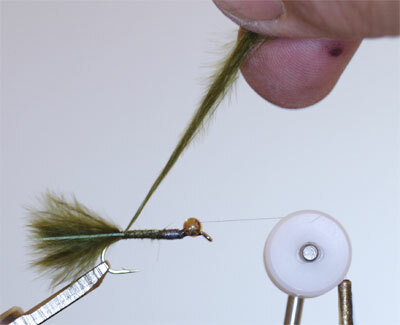 Pinch out the marabou between thumb and forefinger to required length. Do not cut. 3) Tie in a strand of flash on either side of the tail. 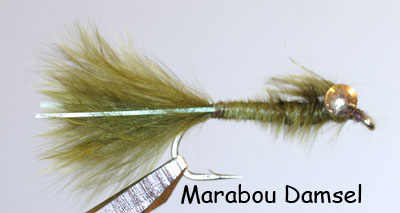 4) Select long webby marabou fibres from the side of a large marabou feather. Tie these in by their tips above the barb. 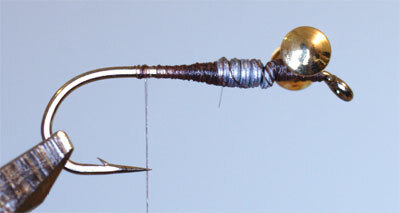 5) Give the fibres a few twists and wrap up the length of the hook shank in even turns by rotating the vice. 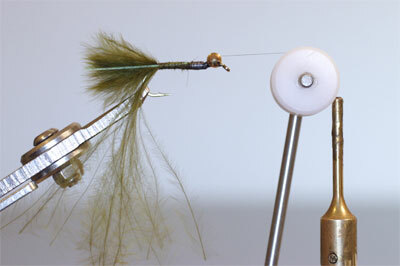 6) Capture the end of the marabou with a few turns of thread under the eyes. 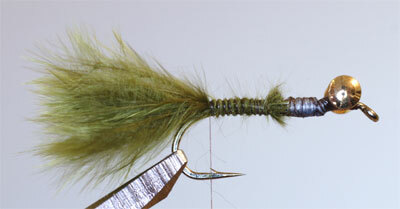 7) Split the marabou and bring to the top of the hook and over the top of the eyes. Secure in place with one figure of eight wrap around the eyes. Form a small head with the thread and add a drop of head cement. 8) Pinch off the remaining marabou to the desired length. 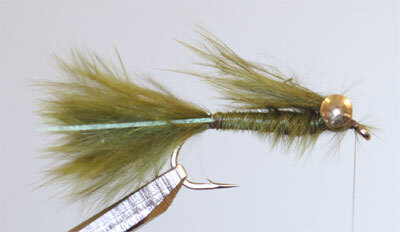 Remember that this fly swims upside down and this tuft of marabou represents the legs. 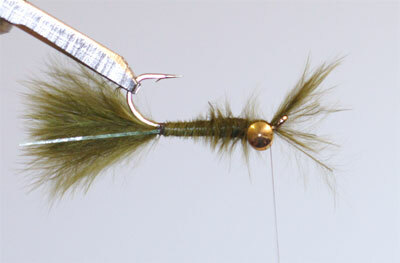 I also tie this fly in brown for winter when the weed is dead. If tied in black it works well when there are a lot of tadpoles about.